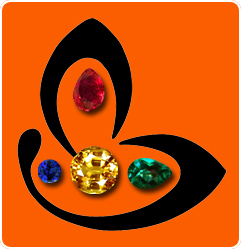 Gemstones are quite durable and require much less care than other pieces of jewelry. For a thorough cleansing soak gemstones in water with just a minute amount of soap. To eliminate the possibility of damaging your gemstones cleanse them with the aforementioned soap and water solution. Is coral resistant to detergents and shampoos and conditioners (etc.)? This is my concern. As much as I would like to wear my coral ring always, I’m concerned that these solutions may disintegrate/corrode/degrade/dissolve the coral gradually. I take it off when I have to wash dishes or hand wash clothes, because the detergents or solutions we use may be too strong for the coral. I also take the ring off when bathing because of the soaps, shampoos and conditioners. These activities take 10 minutes (dish washing) to 1 hour (hand washing clothes), the length of time I’m not wearing the ring. Does this affect the effectiveness of the ring? Your concerns are genuine. the Organic gemstones like Red coral do get damaged by the use of cosmetics, detergents and harsh chemicals. however, unless a strong dosage comes in contact with the gem, the corrosion/ wasting away is gradual. Anyway, the organic gemstones will without exception, waste away over a period of time. In case you are wearing a red Coral as a Mars Talisman, the astrological effectiveness of a particular red coral for an individual is approximately 2 and half years. It is advisable to change the gem after such time. So in all likelihood you can continue wearing your gem without removing it for routine chores. Just change the gem once the said period is over.